#MeetMeAtTheLawrence Tomorrow Night for a Comedy Show! Join The Lawrence this Thursday, August 9, for a night filled with laughs for a good cause. 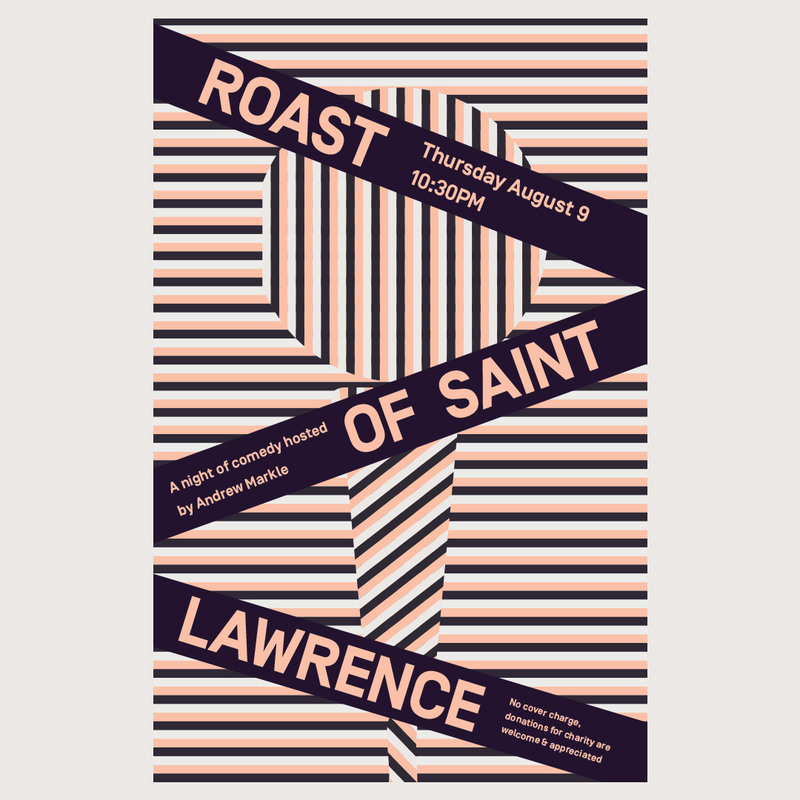 Grab a late dinner + make sure to stick around for The Roast of Saint Lawrence. The show starts at 10:30pm, is hosted by Andrew Markle and features an incredible line up of comedians like Andrew Michael, Dedrick Flynn, Katie Hughes, Cherith Fuller, Joe Pettis + Ian Aber. Ten percent of all sales, 100% of the $5 punch special sales and all upfront donations will go toward helping the kids of Hope Hill Elementary and will provide them with much needed school supplies. The roast is completely free to attend but donations are welcome + much appreciated.